There are just no words to fully describe the absolutely amazing taste of this macaroni and cheese. But those awesome southerners have amazing ways of describing things. For example: Shut the front door = shut up! or no way!! or get outta town!! Slap your mama is one of my favorites but I’m not sure that means something good. And I love my mama so I would never slap her. I totally forgot about this recipe. I loved this mac and cheese. It is the best homemade mac and cheese recipe I have ever made. Because it has a cheese sauce that covers all of the noodles. Sometimes when you make homemade mac and cheese and you use cubed cheese, you get some noodles without any cheese on them. Well, that just isn’t right! It’s called Mac and Cheese for a reason! That would just be silly. Anyway, this is an amazing recipe and it has four-ish ingredients AND I bet you have most if not all of the ingredients sitting in your kitchen now. It won’t but it tastes so good, you won’t care if you have a pile of laundry. Heat the milk, bouillon, a dash of salt and the flour. Use a whisk to make sure you break down the flour. Let it slightly boil (you want it to thicken). Then add the cheese slices. Stir until it all melts. Once you’ve boiled the macaroni and drained it, pour the cheese sauce over the noodles. I will not be held responsible for what this will do to your diet. Head here for more four-ingredient recipes! Once you've boiled the macaroni and drained it, pour the cheese sauce over the noodles. REALLY? It's that simple? 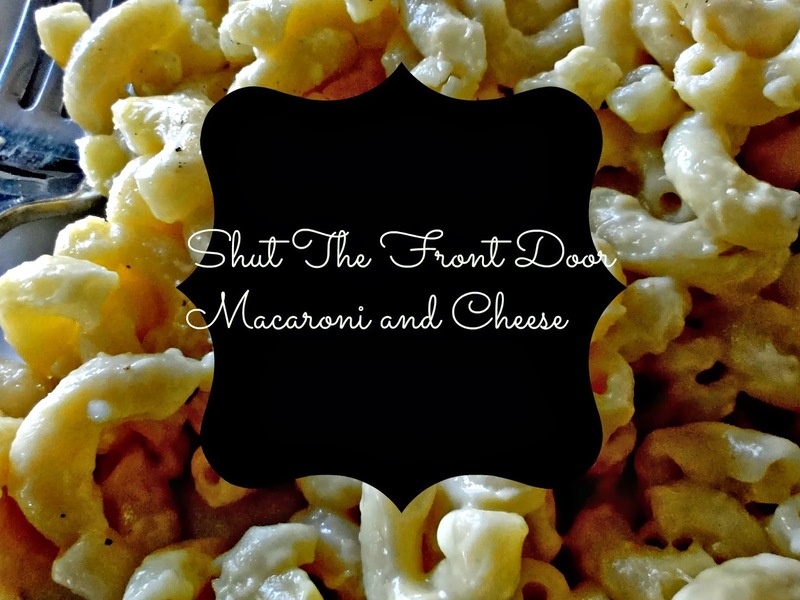 I have a macaroni and cheese recipe that I just love, but it's not simple. It involves making a roux and cubing cheese and. . . you get the idea. I need to give this one a try! Sounds great! We love mac and cheese and this one would be great for a quick week night meal. Love me some mac & cheese! This recipe really does look so easy and good!! I love that gooey cheesiness and that style of pasta, too! Thanks for sharing! Coming from Weekend Potluck. This sounds really good. I'm sure the chicken bouillon adds a good flavor. Hubby likes good ok Mac and cheese so we will try this. Pinning! Hi! I'm all for easy recipes, but I do not understand the large discrepancy between 1 cup of macaroni and 2.5 cups of macaroni. Wha is that all about? With no adjustment of milk or cheese? I do not get it! Thanks for responding. Sorry about not putting a link back or – not sure. I can't say this is exactly new to me since I've maintained a different blog on a totally unrelated subject since April 2007, but very rarely does this kind of thing come up with links-back and stuff. Guess I'm still a blogger baby when it comes down to it. I will try your suggestion of 2.5 cups and – doh – American cheese! Not the Kraft food product "cheese"!!! @ Jan- I am leaving a link here and on your blog just in case you don't come back here. Oh geez, i'm a sucker for new mac and cheese recipes! This looks dangerously good. Let the bloating begin! Aww Peanut, prepare to be bloated my friend! That looks super simple and yummy. I would love for you to link this up to my Fall into Fall party that opens tonight at 8pm EST. Hope to see you there.